In addition to being one of the trailblazers of the open air booth style, we also worked with Shayna to develop a custom photo booth start screen menu that featured photos of Justin & Shayna in the menu where guests use our touchscreen to choose to take color or black & white photos. These days, most weddings have a photo booth, so adding personal touches such as the open air booth with a coordinated backdrop and a custom start screen can help to make the experience at your event special. 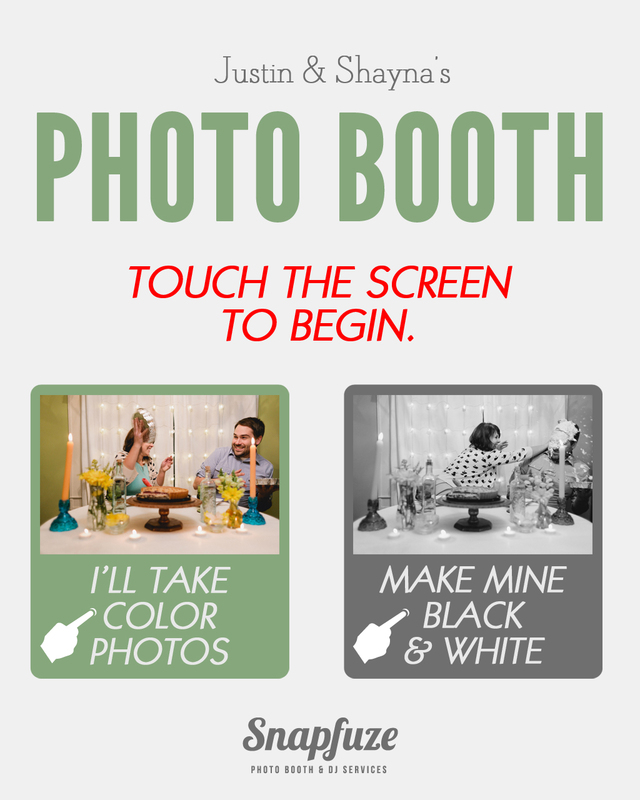 If you’re interested in incorporating this unique new feature into your Photo Booth Rental, reach out and let us know!